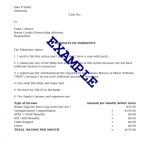 (a) As used in this section “wages” means wages for employment by employers for benefit purposes with respect to any benefit year only if such benefit year begins subsequent to the date on which the employer by whom such wages were paid has satisfied the conditions of § 3302(8) of this title or § 3343 of this title with respect to becoming an employer. (1) For the period beginning July 1, 1983, and ending June 30, 1985, the amount shall not be less than $20 nor more than $165. (2) For the period beginning July 1, 1985, and ending June 30, 1986, the amount shall not be less than $20 nor more than $195. (3) For the period beginning July 1, 1986, and ending June 30, 1987, the amount shall not be less than $20 nor more than $205. (4) For the period beginning July 1, 1987, and ending December 31, 1987, the amount shall not be less than $20 nor more than $205. (5) Computations for each increase in the maximum weekly benefit amount shall commence with new claims filed to establish a benefit year commencing on or after the effective date of such increase. (c) For claims establishing a benefit year beginning January 1, 1988, and thereafter, with respect to which the Unemployment Insurance Trust Fund balance, as certified by the Director of Unemployment Insurance to the Secretary of Labor, is equal to or greater than $90 million as of the preceding September 30, an individual’s weekly benefit amount shall be an amount equal to 1/46 of the individual’s total wages for employment by employers paid during the 2 quarters of the individual’s base period in which such wages were highest. If such weekly benefit amount is not an even dollar amount, it shall be rounded down to the next whole dollar. The amount shall not be less than $20 nor more than $205. Computations for any change in the maximum weekly benefit amount shall commence with new claims filed to establish a benefit year effective on or after January 1 of each year. (d) For claims establishing a benefit year beginning January 1, 1988, and thereafter, with respect to which the Unemployment Insurance Trust Fund balance, as certified by the Director of Unemployment Insurance to the Secretary of Labor, is less than $90 million as of the preceding September 30, and individual’s weekly benefit amount shall be an amount equal to 1/52 of the individual’s total wages for employment by employers paid during the 2 quarters of the individual’s base period in which such wages were highest. If such weekly benefit amount is not an even amount, it shall be rounded down to the next whole dollar. The amount shall not be less than $20 nor more than $205. Computations for any change in the maximum weekly benefit amount shall commence with new claims filed to establish a benefit year effective on or after January 1 of each year. (e) For claims establishing a benefit year beginning January 1, 1990, and thereafter, an individual’s weekly benefit amount shall be determined in accordance with subsection (c) or subsection (d) of this section as determined by the balance in the Unemployment Insurance Trust Fund. However, for such claims, the minimum and maximum weekly benefit amount shall not be less than $20 nor more than $225 unless the Unemployment Trust Fund balance, as certified by the Director of Unemployment Insurance to the Secretary of Labor, as of the preceding September 30, is less than $90 million. When the Unemployment Insurance Trust Fund balance is less than $90 million, the maximum weekly benefit amount shall be no more than $205. Computation for any change in the maximum weekly benefit amount shall commence with new claims filed to establish a benefit year on or after January 1 of each year. (f) For claims establishing a benefit year beginning July 1, 1991, and thereafter, an individual’s weekly benefit amount shall be determined in accordance with subsection (c) or subsection (d) of this section as determined by the balance in the Unemployment Insurance Trust Fund. However, for such claims, the minimum and maximum weekly benefit amount shall not be less than $20 nor more than $245 unless the Unemployment Insurance Trust Fund balance, as certified by the Director of Unemployment Insurance to the Secretary of Labor, as of the preceding September 30, is less than $150 million. When the Unemployment Insurance Trust Fund balance is less than $150 million, but equal to or greater than $90 million, the maximum weekly benefit amount shall be no more than $225. And when the Unemployment Insurance Trust Fund balance is less than $90 million, the maximum weekly benefit amount shall be no more than $205. Computation for any change in the maximum weekly benefit amount shall commence with new claims filed to establish a benefit year on or after January 1 of each year. (g) For claims establishing a benefit year beginning July 1, 1993, and thereafter, an individual’s weekly benefit amount shall be determined in accordance with subsection (c) or (d) of this section as determined by the balance in the Unemployment Insurance Trust Fund. However, for such claims, the minimum and maximum weekly benefit amount shall not be less than $20 nor more than $265 unless the Unemployment Insurance Trust Fund balance, as certified by the Director of Unemployment Insurance to the Secretary of Labor, as of the preceding September 30, is less than $165 million. When the Unemployment Insurance Trust Fund balance is less than $165 million, but equal to or greater than $150 million, the maximum weekly benefit amount shall be no more than $245. When the Unemployment Insurance Trust Fund balance is less than $150 million, but equal to or greater than $90 million, the maximum weekly benefit amount shall be no more than $225. When the Unemployment Insurance Trust Fund balance is less than $90 million, the maximum weekly benefit amount shall be no more than $205. Computation of any change in the maximum weekly benefit amount shall commence with new claims filed to establish a benefit year on or after January 1 of each year. (h) For claims establishing a benefit year beginning July 1, 1995, and thereafter, an individual’s weekly benefit amount shall be determined in accordance with subsection (c) or subsection (d) of this section as determined by the balance in the Unemployment Insurance Trust Fund. However, for such claims, the minimum and maximum weekly benefit amount shall not be less than $20 nor more than $300 unless the Unemployment Insurance Trust Fund balance, as certified by the Director of Unemployment Insurance to the Secretary of Labor, as of the preceding September 30, is less than $200 million. When the Unemployment Insurance Trust Fund balance is less than $200 million, but equal to or greater than $165 million, the maximum weekly benefit amount shall be no more than $265. When the Unemployment Insurance Trust Fund balance is less than $165 million, but equal to or greater than $150 million, the maximum weekly benefit amount shall be no more than $245. When the Unemployment Insurance Trust Fund balance is less than $150 million, but equal to or greater than $90 million, the maximum weekly benefit amount shall be no more than $225. When the Unemployment Insurance Trust Fund balance is less than $90 million, the maximum weekly benefit amount shall be no more than $205. Computation for any change in the maximum weekly benefit amount shall commence with new claims filed to establish a benefit year on or after January 1 of each year. (i) For claims establishing a benefit year beginning July 1, 1999, and thereafter, an individual’s weekly benefit amount shall be determined in accordance with subsection (c) or subsection (d) of this section as determined by the balance in the Unemployment Insurance Trust Fund. However, for such claims, the minimum and maximum weekly benefit amount shall not be less than $20 nor more than $315 unless the Unemployment Insurance Trust Fund balance, as certified by the Director of Unemployment Insurance to the Secretary of Labor, as of the preceding September 30, is less than $250 million. When the Unemployment Insurance Trust Fund balance is less than $250 million, but equal to or greater than $200 million, the maximum weekly benefit amount shall be no more than $300. When the Unemployment Insurance Trust Fund balance is less than $200 million, but equal to or greater than $165 million, the maximum weekly benefit amount shall be no more than $265. When the Unemployment Insurance Trust Fund balance is less than $165 million, but equal to or greater than $150 million, the maximum weekly benefit amount shall be no more than $245. When the Unemployment Insurance Trust Fund balance is less than $150 million, but equal to or greater than $90 million, the maximum weekly benefit amount shall be no more than $225. When the Unemployment Insurance Trust Fund balance is less than $90 million, the maximum weekly benefit amount shall be no more than $205. Computation for any change in the maximum weekly benefit amount shall commence with new claims filed to establish a benefit year on or after January 1 of each year. (j) For claims establishing a benefit year beginning January 1, 2002, and thereafter, an individual’s weekly benefit amount shall be determined in accordance with subsection (c) or subsection (d) of this section as determined by the balance in the Unemployment Insurance Trust Fund. However, for such claims, the minimum and maximum weekly benefit amount shall not be less than $20 nor more than $330 unless the Unemployment Insurance Trust Fund balance, as certified by the Director of Unemployment Insurance to the Secretary of Labor, as of the preceding September 30, is less than $275 million. When the Unemployment Insurance Trust Fund is less than $275 million, but equal to or greater than $250 million, the maximum weekly benefit amount shall be no more than $315. When the Unemployment Insurance Trust Fund balance is less than $250 million, but equal to or greater than $200 million, the maximum weekly benefit amount shall be no more than $300. When the Unemployment Insurance Trust Fund balance is less than $200 million, but equal to or greater than $165 million, the maximum weekly benefit amount shall be no more than $265. When the Unemployment Insurance Trust Fund balance is less than $165 million, but equal to or greater than $150 million, the maximum weekly benefit amount shall be no more than $245. When the Unemployment Insurance Trust Fund balance is less than $150 million, but equal to or greater than $90 million, the maximum weekly benefit amount shall be no more than $225. When the Unemployment Insurance Trust Fund balance is less than $90 million, the maximum weekly benefit amount shall be no more than $205. Computation for any change in the maximum weekly benefit amount shall commence with new claims filed to establish a benefit year on or after January 1 of each year. (k) Notwithstanding any other provisions in this section, for claims establishing a benefit year beginning January 1, 2004, and thereafter, an individual’s weekly benefit amount shall be an amount equal to 1/46 of the individual’s total wages for employment by employers paid during the 2 quarters of the individual’s base period in which such wages were highest. If such weekly benefit amount is not an even dollar amount, it shall be rounded down to the next whole dollar. The amount shall not be less than $20 nor more than $330. (l) The Unemployment Compensation Advisory Council as defined in § 3107 of this title shall meet not less than every 2 years to review and make recommendations regarding the maximum weekly benefit amount. The Council’s final recommendations shall be submitted to the Director of Unemployment Insurance by May 15 of the year in which the Council has met. (m) Each eligible individual who is unemployed in any week shall be paid with respect to such week a sum equal to the individual’s weekly benefit amount less that part of the wages (if any) payable to the individual with respect to such week which exceeds whichever is the greater of $10 or 50 percent of the individual’s weekly benefit amount. Such sum, if not an even dollar, shall be rounded down to the next whole dollar. Wages do not have to be paid to be considered payable. (n) Any eligible individual who filed a claim for benefits for weeks of unemployment prior to July 1975 shall be entitled during any benefit year to a total amount of benefits equal to whichever is the lesser of (i) 26 times the individual’s weekly benefit amount, or (ii) 47 percent of the individual’s wages for employment by employers paid during the individual’s base period. If such amount is not an even dollar, it shall be raised to the next whole dollar. In no event shall the maximum total amount be less than 11 times the weekly benefit amount. (o) Any eligible individual who files a claim for benefits for weeks of unemployment beginning July, 1975, and thereafter shall be entitled during any benefit year to a total amount of benefits equal to whichever is the lesser of (i) 26 times the individual’s weekly benefit amount or (ii) 50 percent of the individual’s wages for employment by employers paid during the individual’s base period. If such amount is not an even dollar, it shall be rounded down to the next whole dollar. (p) Any otherwise eligible individuals shall be paid with respect to any week a benefit amount equal to the individual’s weekly benefit amount less that part of a retirement pension or annuity, if any, received by the individual or for which the individual is eligible under a private pension plan which is financed entirely by a base period employer of such employee, and which is in excess of the weekly benefit amount for which the individual is eligible under this chapter. If there is employee participation in financing a pension plan, such deduction shall be reduced in the same proportion as the employee’s contribution to the pension bears to the total pension amount. If such retirement pension or annuity payment deductible under this subsection is received on other than a weekly basis, the amount thereof shall be allocated and prorated in accordance with such regulation as the Department shall prescribe. This subsection shall apply only to any new claim filed after August 9, 1961. (4) In the case of a payment in the form of a pension, annuity, retirement or retired payment paid to an individual under the Social Security Act (42 U.S.C. § 301 et seq. ), or the Railroad Retirement Act of 1974 (45 U.S.C. § 231 et seq. ), the individual’s contribution shall be taken into consideration and the weekly benefit amount payable to said individual for any week which begins after January 1, 1999, shall not be reduced. (5) Any overpayment which may result from the retroactive application of this paragraph may, at the discretion of the Secretary of Labor, be waived. (q)(1) An individual filing a new claim for unemployment compensation shall, at the time of filing such claim, disclose whether or not the individual owes child support obligations as defined under paragraph (q)(7) of this section. If any such individual discloses that the individual owes child support obligations, and is determined to be eligible for unemployment compensation, the Department shall notify the state or local child support enforcement agency enforcing such obligation that the individual has been determined to be eligible for unemployment compensation. c. Any amount otherwise required to be so deducted and withheld from such unemployment compensation pursuant to legal process (as that term is defined in § 459(i)(5) of the Social Security Act [42 U.S.C. § 659(i)(5)]) properly served upon the Department. (3) Any amount deducted and withheld under paragraph (q)(2) of this section shall be paid by the Department to the appropriate state or local child support enforcement agency. (4) Any amount deducted and withheld under paragraph (q)(2) of this section shall for all purposes be treated as if it were paid to the individual as unemployment compensation and paid by such individual to the state or local child support enforcement agency in satisfaction of the individual’s child support obligations. (5) For purposes of paragraphs (q)(1) through (4) of this section, the term “unemployment compensation” means any compensation payable under this chapter (including amounts payable by the Department pursuant to an agreement under any federal law providing for compensation, assistance or allowances with respect to unemployment). (6) This subsection applies only if appropriate arrangements have been made for reimbursement by the state or local child support enforcement agency for the administrative costs incurred by the Department under this subsection which are attributable to child support obligations being enforced by the state or local child support enforcement agency. (7) The term “child support obligation” is defined for purposes of these provisions as including only obligations which are being enforced pursuant to a plan described in § 454 of the Social Security Act [42 U.S.C. § 654] which has been approved by the Secretary of Health and Human Services under Part D of Title IV of the Social Security Act [42 U.S.C. § 651 et seq.]. (8) The term “state or local child support enforcement agency” as used in these provisions means any agency of a state or a political subdivision thereof operating pursuant to a plan described in paragraph (q)(7) of this section. (r)(1) An individual filing a new claim for unemployment compensation shall, at the time of filing such claims, disclose whether or not that individual owes an uncollected overissuance (as defined in § 13(c)(1) of the Food Stamp Act of 1977 [7 U.S.C. § 2022]) of food stamp coupons. The Department shall notify the state food stamp agency enforcing such obligation of any individual who discloses that the individual owes a food stamp coupon obligation and who is determined to be eligible for unemployment compensation. c. Any amount otherwise required to be deducted and withheld from unemployment compensation pursuant to § 13(c)(3)(B) of the Food Stamp Act of 1977 [7 U.S.C. § 2022]. (3) Any amount deducted and withheld under paragraph (r)(2) of this section shall be paid by the Department to the appropriate state food stamp agency. (4) Any amount deducted and withheld under paragraph (r)(2) of this section shall for all purposes be treated as if it were paid to the individual as unemployment compensation and paid by such individual to the state food stamp agency as repayment of the individual’s uncollected overissuance of food stamp coupons. (5) For purposes of paragraphs (r)(1) through (4) of this section, the term “unemployment compensation” means any compensation payable under this chapter, including amounts payable by the Department pursuant to an agreement under any federal law providing for compensation, assistance or allowances with respect to unemployment. (6) This subsection applies only if arrangements have been made for reimbursement by the state food stamp agency for the administrative costs incurred by the Department under this subsection which are attributable to the repayment of uncollected overissuance of food stamp coupons to the state food stamp agency. (7) The term “state food stamp agency,” as used in these provisions, means any agency described in § 3(n)(1) of the Food Stamp Act of 1977 [7 U.S.C. § 2012] which administers the food stamp program established under such act.